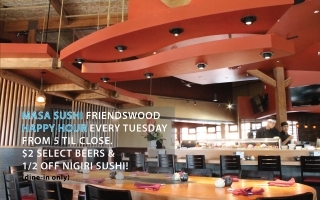 Enjoy Happy Hour every Tuesday from 5pm til close at our Friendswood location. See you there! Win a $100 Gift Card!! Come celebrate New Year’s Eve with us. 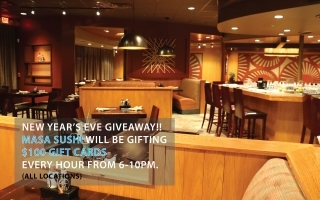 Every hour we will be gifting a $100 gift card from 6pm – 10pm! All locations! See you there! 50% off for our 11 Year Anniversary! 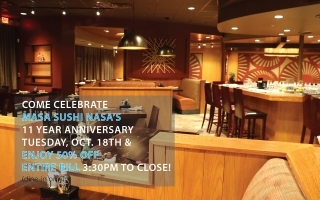 Enjoy 50% off your entire bill for our 11 year anniversary October 18th from 3:30pm to 10pm. Reserved for dine in customers only. See you there! 50% off for our 1 Year Anniversary! 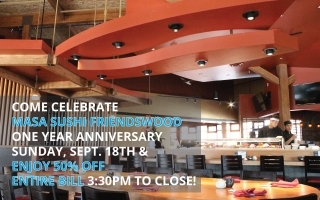 Enjoy 50% off your entire bill for our one year anniversary September 18th from 3:30pm to 10pm. See you there!